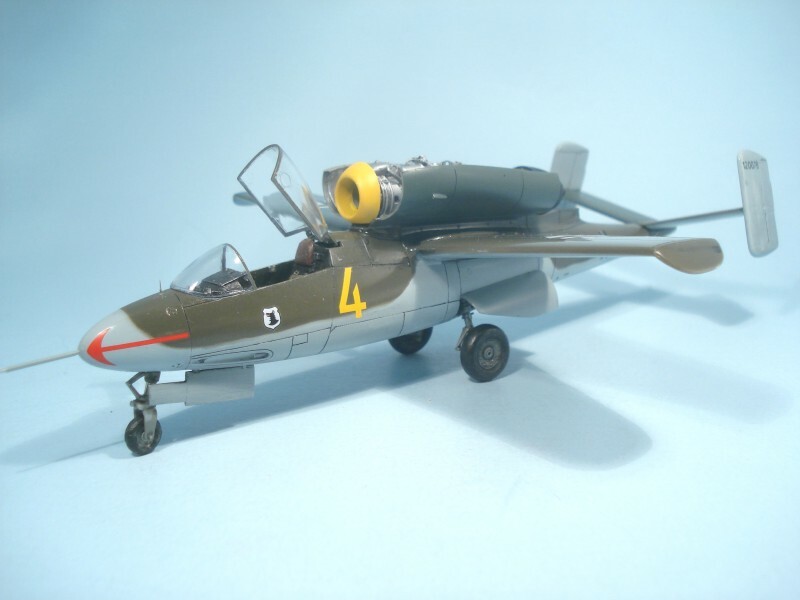 The Reich Air Ministry (RLM) issued requirements for a single-seat fighter powered by a single BMW 003 jet engine on September 10, 1944. 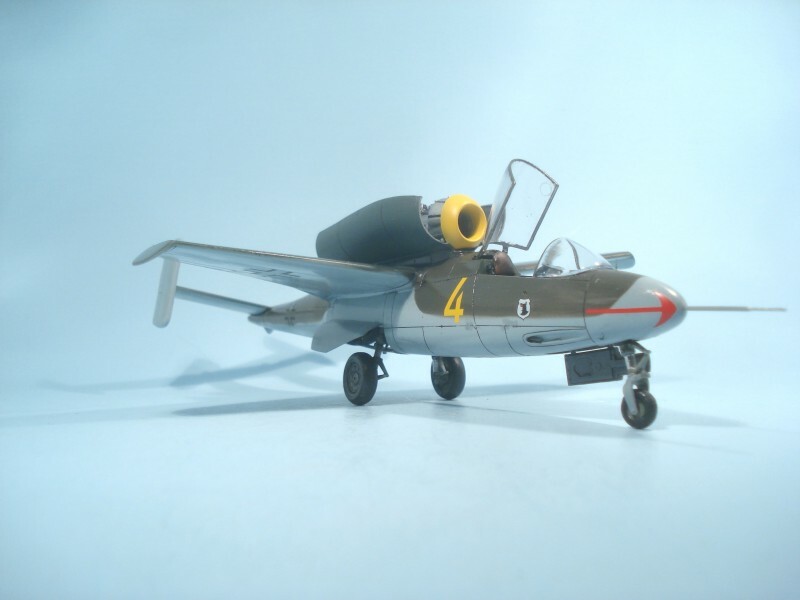 From the many German aircraft manufacturers interested, Heinkel's proposal was selected. 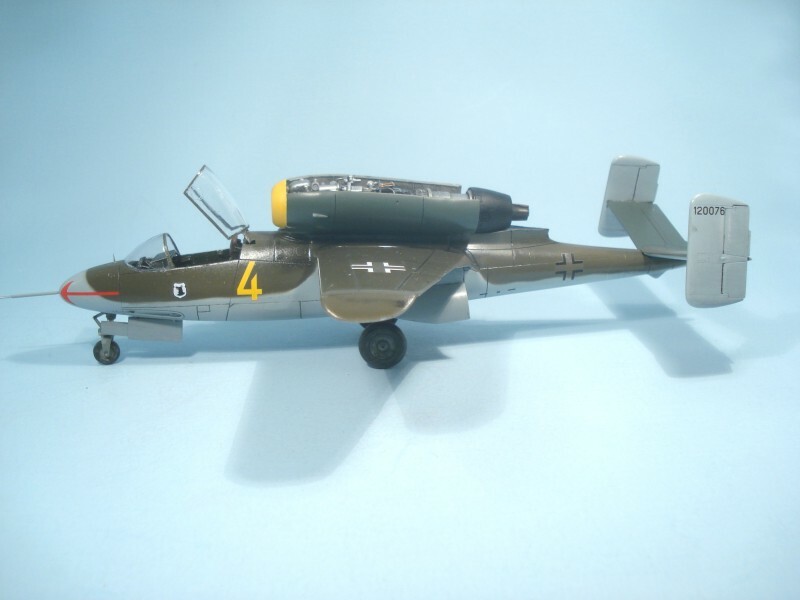 Heinkel designed and built The He-162 very quickly. 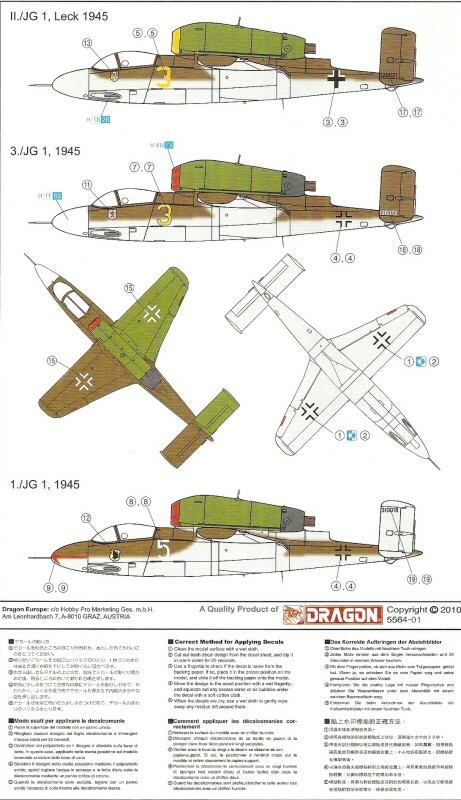 The final design was chosen on September 25th and the He162 flew for the first time on December 6th, less than 90 days later. It was made primarily of wood due to the short supply of metals. In early test parts came unglued in flight with one such event resulting in the death of the test pilot. As a result, parts were strengthened and some redesign was needed. The glue for the wood parts was found to be defective in many cases. The aircraft was the fastest jet aircraft in the air hitting 550 mph at sea level and speeds reaching 562 mph at 19,000 feet. The He162 was built at three locations; Salzburg, the Hinterbruhl, and the Mittelwerk. By the time of Germany's surrender on May 8, 1945, 120 He 162's had been delivered; a further 200 had been completed and were awaiting deployment. 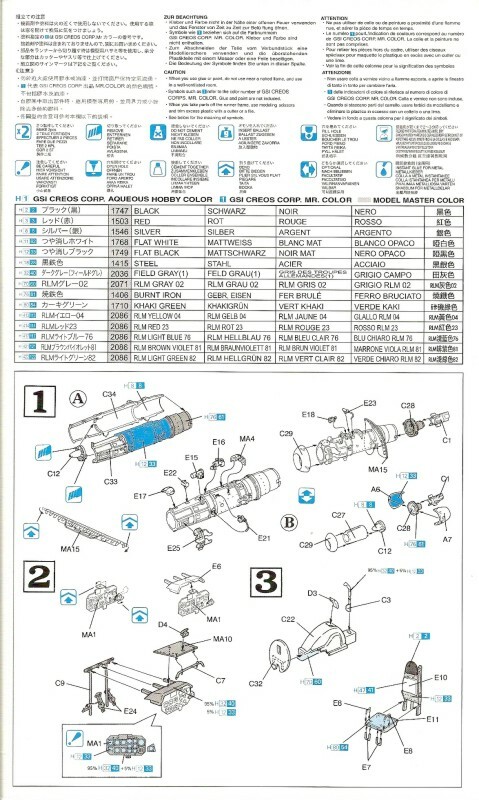 The instructions are presented in a logical sequence using ten steps with the exploded view presentation. There is no narrative. Part numbers and paint codes are called out on the instruction sheet. The paint codes refer to Aqueous Hobby, Mr. Color, Master Model and generic colors. 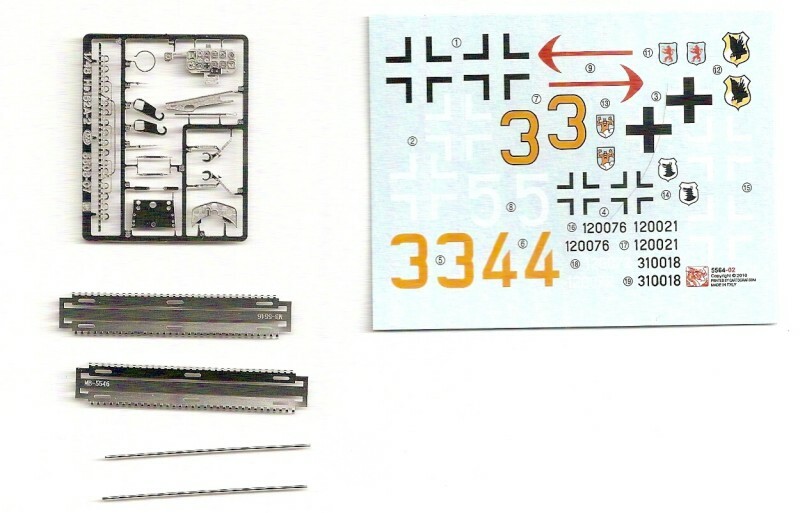 The sprues are depicted on a page in the instructions and the part numbers are also called out here. I found the parts to be exceptionally clean and free from flashing. Construction begins with the BMW 003 engine. The model can be built with the cam-shell engine covers open or closed. To this point, the instructions are not clear on the engine parts make-up for the two configurations. 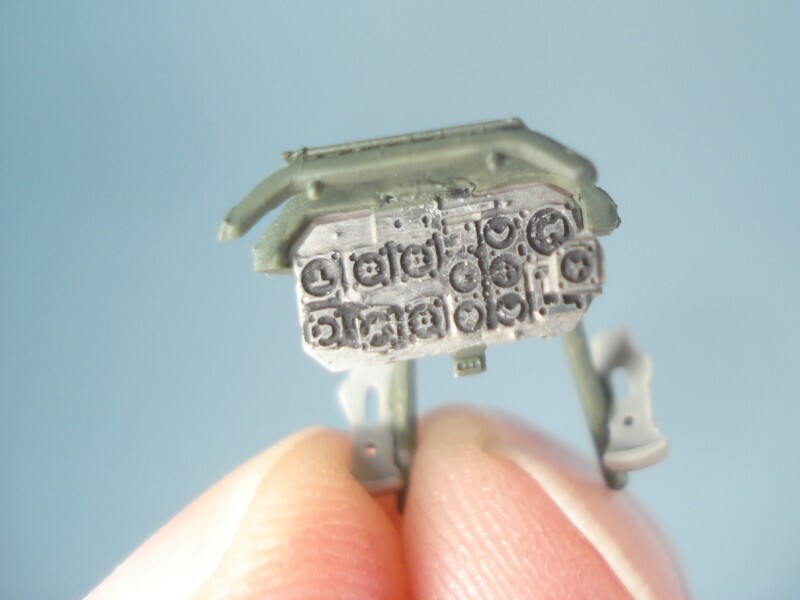 I chose to build the model with the engine covers open since it is the focal point of the model. The details on this item are very good. 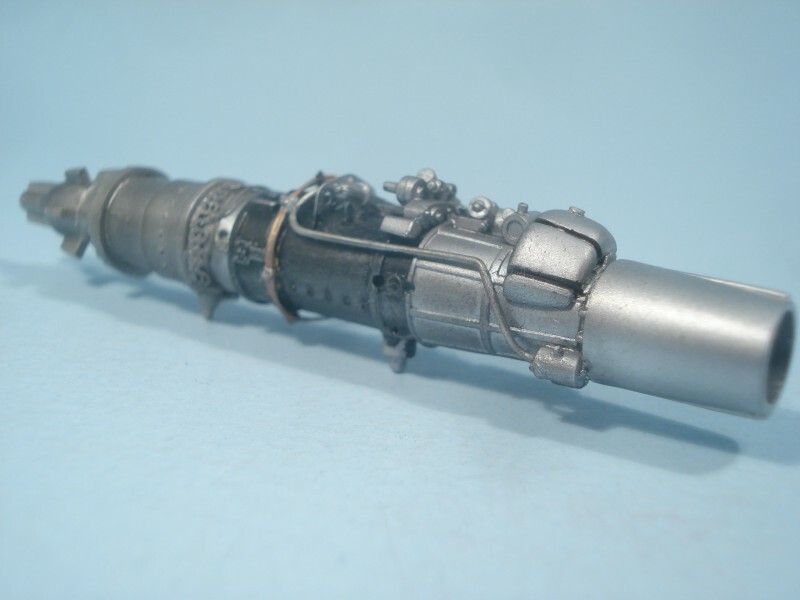 The engine contains a couple of the PE parts for added realism. The existing details actually lend themselves to adding as much extra detail as the builder wants to add. Fortunately, there are a number of excellent photograph on-line to help with this effort. The cockpit is constructed next. Several more PE parts are added here. 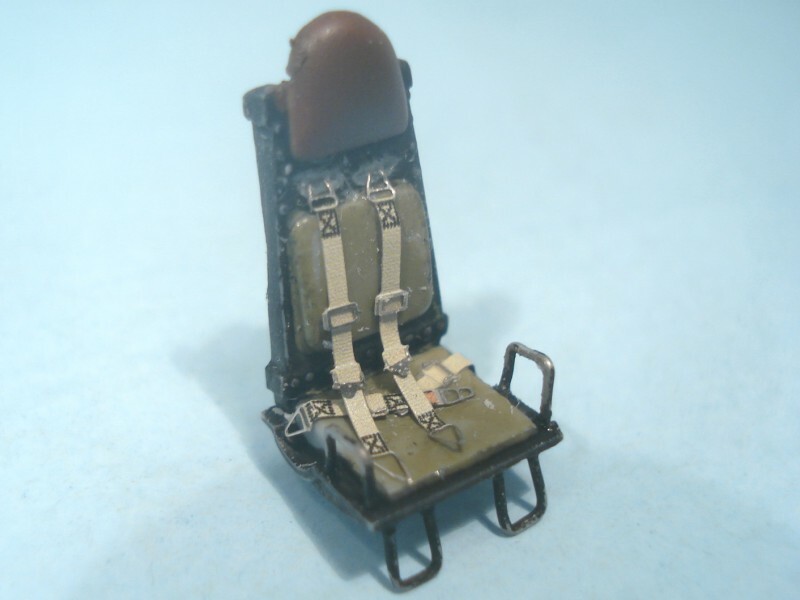 In fact, the entire instrument panel is one piece of PE fitted to a plastic framework. I was disappointed in that no seatbelts were provided on the PE fret. I added some from my spares bin. I found the main landing gear bay step to be somewhat difficult and confusing to assembly. 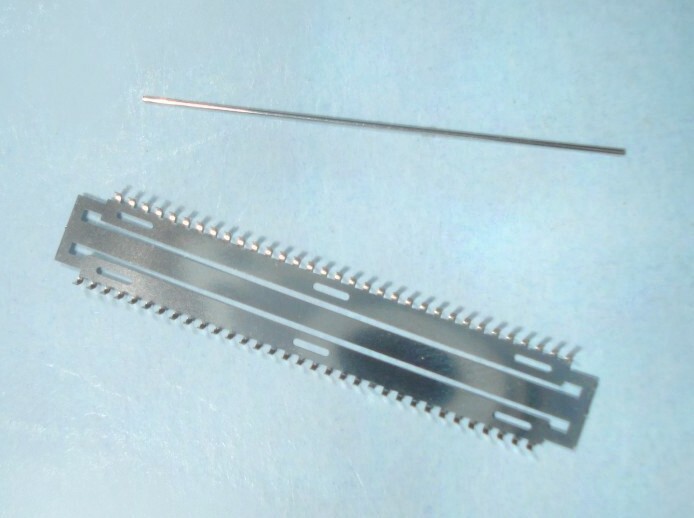 A number of PE parts are added in the bay. It is easy to mis-locate PE parts MA6 and MA7, but this turns out to be minor and is not critical to the placement of other parts. The proper placement of two struts, parts C16 and C25, is also unclear. I correctly placed one end of each strut into the locating holes in the top of the bay. However, I mistakenly glued the other end of each strut to the forward bay wall. I did not discover my error until I was ready to install the landing gear doors. These two struts are supports for the center section of the bay's exterior. Ungluing and regluing those struts to their proper location was a pain. 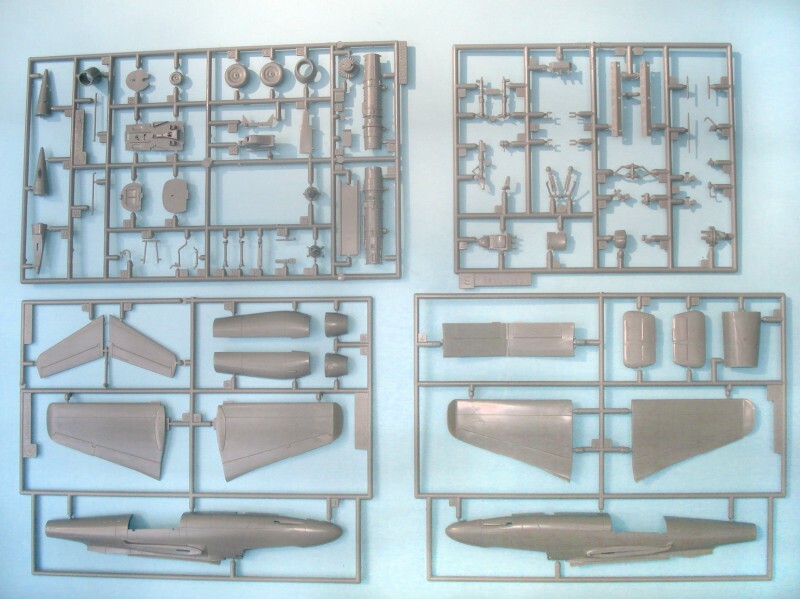 Once the LG bay is complete, it and several small pieces are added to the fuselage halves and the fuselage closed up. There are no problems here. Very little filler is needed along the join lines. The wings and stabilizers are added next. Again, the fit is excellent and no filler is needed. Two stabilizer configurations have been provided. The configuration I use was one with a horizontal stabilizer with vertical stabilizers or either side, similar to the B-25. The other configuration is the proposed V-tail similar to the Beechcraft Bonanza. If you elect to show the engine as I did, a set of PE hinges has been provided. These appear to be stainless steel. The catch is that you must assemble them. 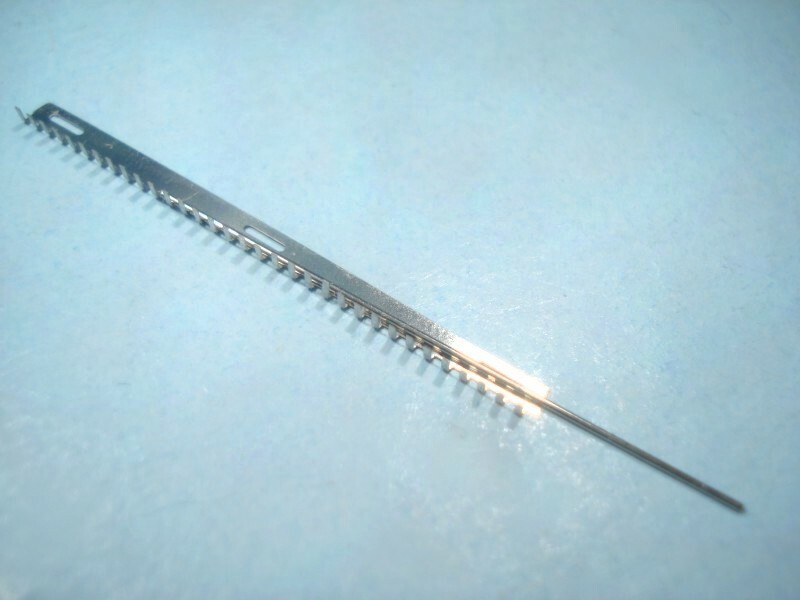 This entails interlacing 33 very small tines on each hinge side and bending then over a small steel pin. 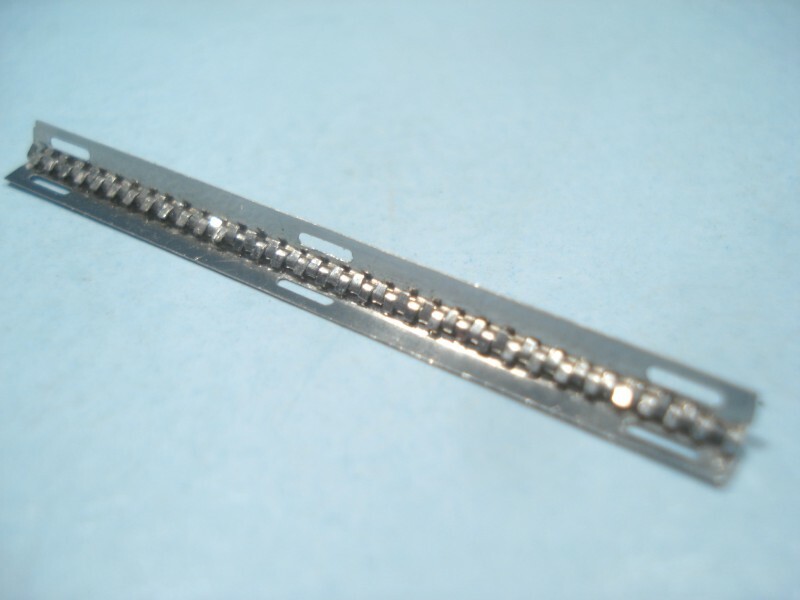 Once complete, they are like very small piano hinges. They operate smoothly enough, but I had trouble aligning them so they make a neat closure around the engine. Since I wanted them open to display the engine it was not a problem. 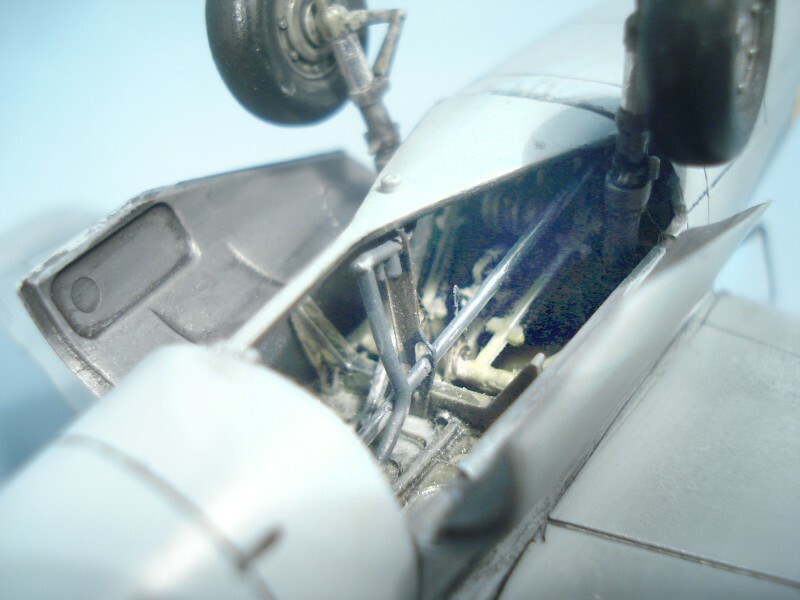 The last construction step places the instrument panel, wheels, the two-piece canopy, and miscellaneous small parts. I had some difficulty placing the instrument panel in the cockpit. Again, I could have misread the panel construction step. Using the old adage, "file to fit and paint to match", everything worked out. While the decal sheet contains the markings for three different aircraft, the paint scheme is virtually the same. All three have a light blue (RLM 76) bottom with a light green (RLM82) and brown violet (RLM81) top. Only the nose cones and engine intakes are colored differently. The gruppe emblems are also different. This was an easy kit to build except for the one of two instances where confusion crept into the instructions. The parts were exceptionally clean and the fit of the major components was excellent. The stainless steel hinges were a bit tedious to assemble, but perseverance wins again. It was a fun kit to build and I would recommend it to any modeler above the novice level. It's an interesting and good looking subject to have setting on your shelf. I'd like to thank Dragon Models for graciously providing this kit to IPMS for review.